What can I do with my flat roof? 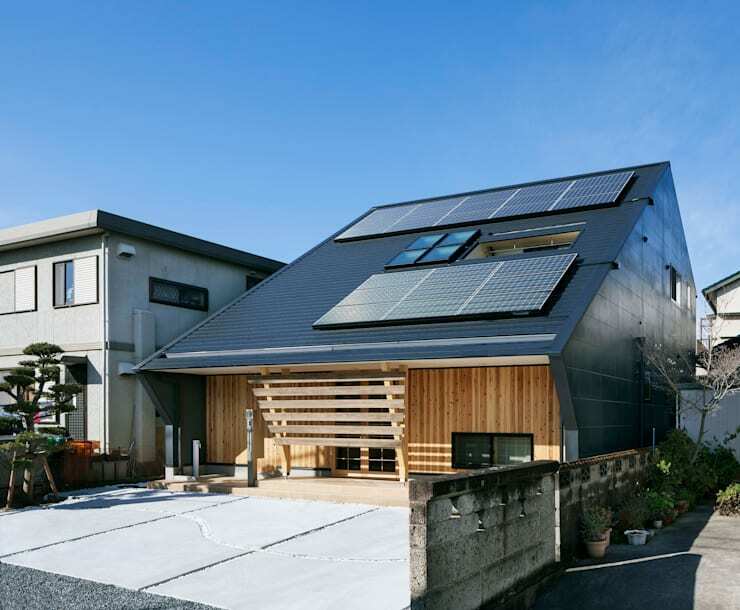 So, you want to do something with your flat roof? Here at homify HQ this is a common question that we hear time and time again. In many cities space comes at an absolute premium, and a flat roof is seen as an area brimming with potential, and the ability to enlarge one's dwelling. Whether you live in an apartment building, a small house, or a large residence, you will undoubtedly want to maximise your home's available space. So, what exactly can you do with a flat roof? If you are lucky enough to benefit from a flat roof, there exists a multitude of architectural options and possibilities. 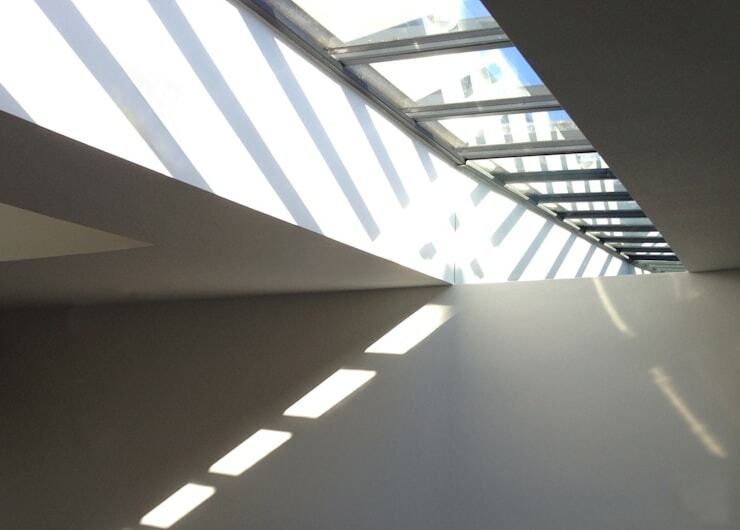 Depending on the level of renovation, building or refurbishment you want to undertake, you might want to consider a roof terrace, or simply install some roof lights to brighten your interior spaces. Either way, there is almost always a guaranteed solution to updating and maximising your flat roof. Of course, and as always, it is extremely important that if you decide to undertake any construction or alteration of the existing building your contact professionals and local council to ensure you receive the correct permits and advice. If you would like to see some stylish flat roofs, and get some ideas or inspiration for your home, read on to learn more! Grow those vegetables and plants! Living in the city often means a lack of space and an inability to grow one’s own plants. However, a flat roof can provide the perfect alternative to a typical garden. Think about adding some stylish planters, and begin providing your very own home-grown food for your family. Not only will you enhance the space above your dwelling, but you will increase its potential tenfold. In order to get your home garden started you should ensure you have a stable and secure roof space. Chat to a home builder to make sure your area is structurally sound to house heavy planters, and also fit for people. Certain restrictions also apply to the height of barriers that need to exist around the perimeter of your roof space. Chat to local council to determine the rules and regulations before building or refurbishing your space. Is there anything more luxurious and opulent than a rooftop swimming pool? We certainly don’t think there is, which is why you should consider one for your flat roof space. Now, building a pool into your roof is definitely not an easy task, and as far as rooftop transformations go, a swimming pool is the most expensive and time consuming. Chat to a professional and obtain expert advice before attempting this daring yet fabulous renovation, and ensure you contract the right builder and specialists to get the job done properly. If you are looking for something a little less work intensive than a swimming pool or roof garden, you might want to consider some solar panels. Solar energy for your home will cut down electricity bills, and help improve your environmental friendliness. The key to solar panel installation is ensuring the pieces are added in the most effective space, and at the right angle. You will need to consult an expert to get this correct, and they will need to be installed by a qualified and certified electrician. Is your home dark, dank, or dull? Do your internal spaces lack illumination, or feel as though they could be brighter? If either of these points ring true within your home, you should consider utilising your flat roof to install some skylights. 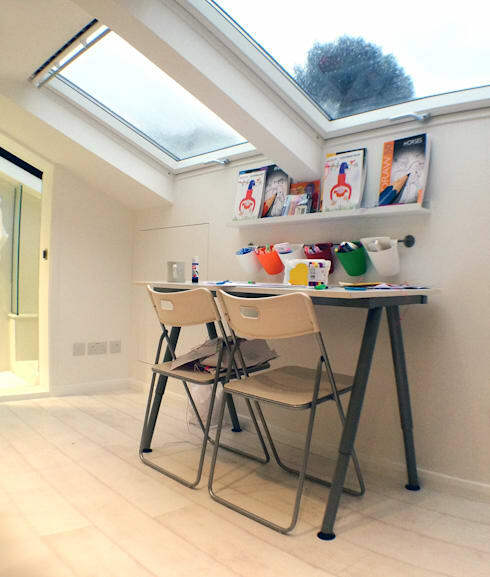 Skylights, also known as roof lights, are an excellent way to bring a little of that natural light into a room, and impart a sense of freshness and renewal. When adding roof lights there are plenty of different options, designs and styles you need to consider. In doing so each option will undoubtedly have pros and cons that should be planned and pondered before installation. Cleaning is often one of the biggest issues with roof lights, especially those that sit flat and look upward. These days glazing can be coated with a protective layer that helps repel dirt and should be considered as an option. Do you like to entertain, but your living room is too small, too dark, or a little uninspiring? 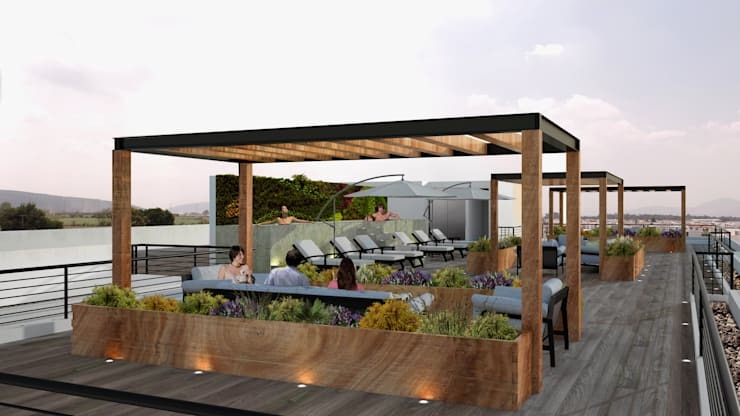 The solution could be above you in the form of a stylish rooftop terrace space. This impressive area above is a gorgeous example that provides an area to host a stylish soiree, or fancy event. Think about decking and umbrellas, built-in planters, as well as other gorgeous furniture and accessories. When building or preparing to build a rooftop terrace you will need to consult a designer as well as a builder who will be aware of the necessary rules and regulations associated with constructing above your property. There are often issues surrounding privacy with other apartments or dwellings, and these will need to be taken into account before construction begins, or planning permission is sought. Perhaps you would like another entire room? When we think of flat roofs we often consider what can be added to the exterior of the dwelling, but conversely, many solutions can present themselves by building an additional floor or room to your roof. If you are lacking space within your home, you might want to look at adding another entire room to your property. You could add a study (such as the one above), bedroom, guest space, or children’s play room, which will provide a handy an essential area within your home. 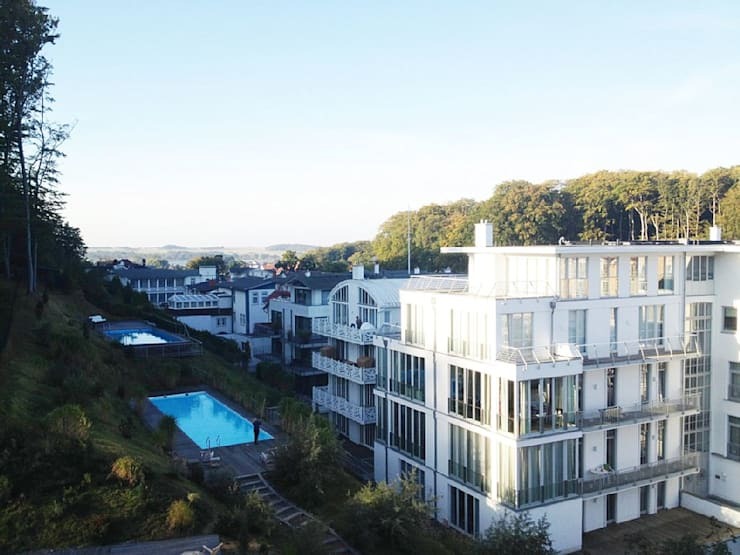 As with any building such as the aforementioned roof terrace, swimming pool, garden etc. you need to be aware of permission that might be required to build onto the existing structure. Chat to a professional builder and ensure you subcontract qualified individuals to get the best result for your dwelling. What would you do with your flat roof? Let us know by leaving a comment below!